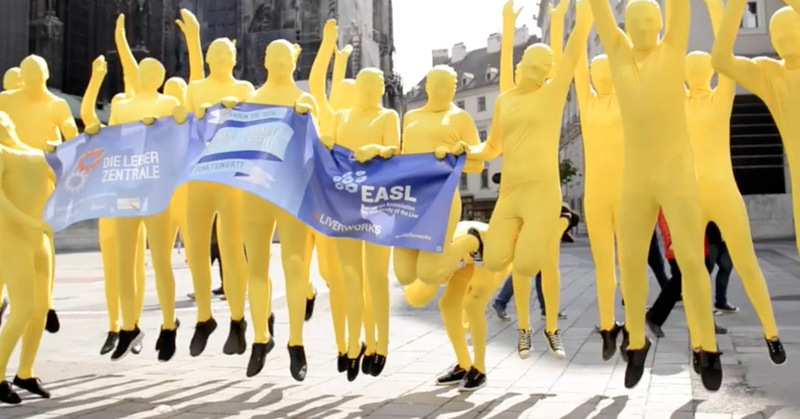 The European Association for the Study of the Liver (EASL) has an annual conference of some 20,000 liver clinicians and practitioners. 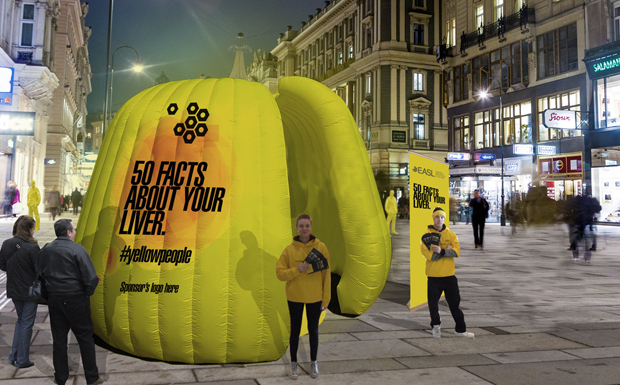 It wanted to engage the general population of the host city, Vienna, and raise awareness of the need to look after your liver. 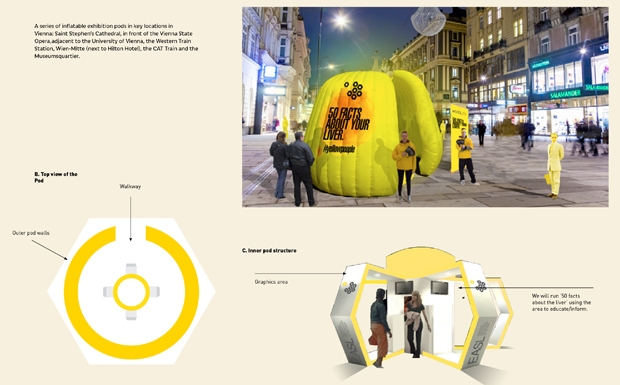 We came up with the idea of the ‘Yellow People’, street artists who encouraged passers-by to interact with a large electronic screen, using a bespoke Augmented Reality app. 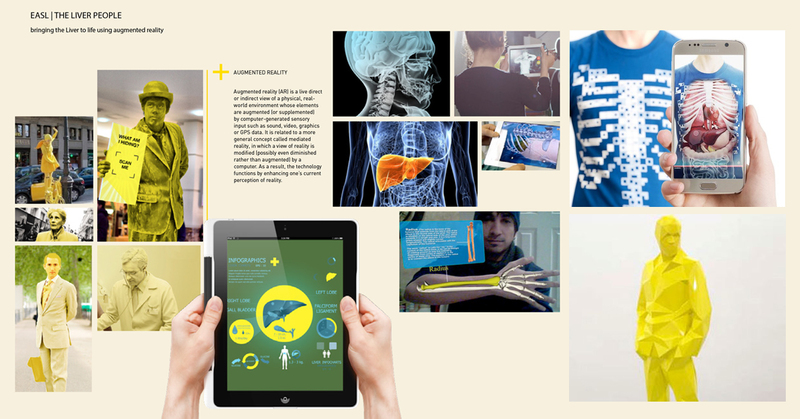 The app took the viewer ‘inside’ their own body, and explained about the hidden hepatitis virus that can lurk inside. It also showed the global context.